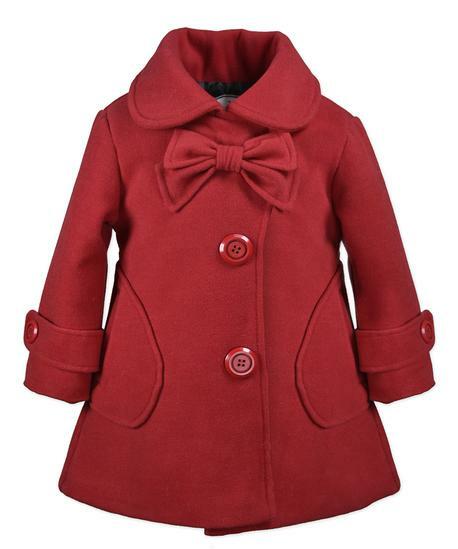 Bow Coat with Peter Pan Collar. Hidden Snap Closure. Quilted Taffeta Lining. Polyester/Rayon/Spandex. Machine Wash. Imported.